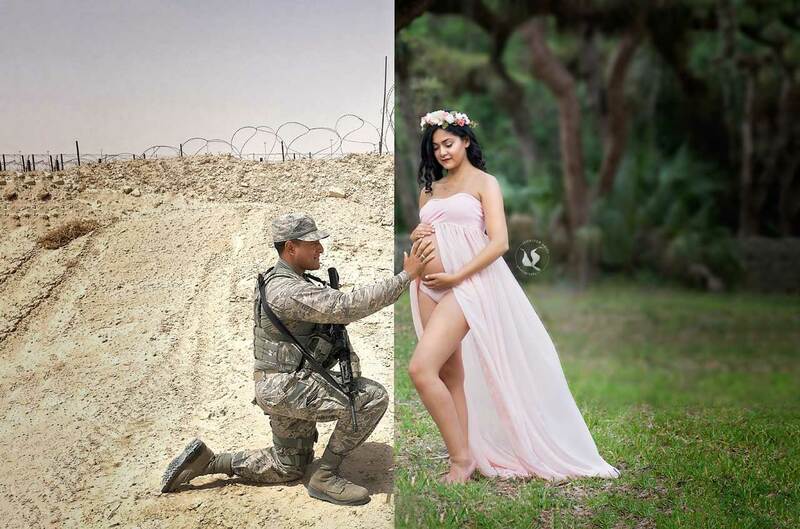 They may be thousands of miles apart, but a photographer has brought an expecting couple closer than they ever thought possible. Veronica Phillips' husband, Brandon, is a member of the U.S. Air Force and has missed most of her pregnancy while he is deployed overseas. 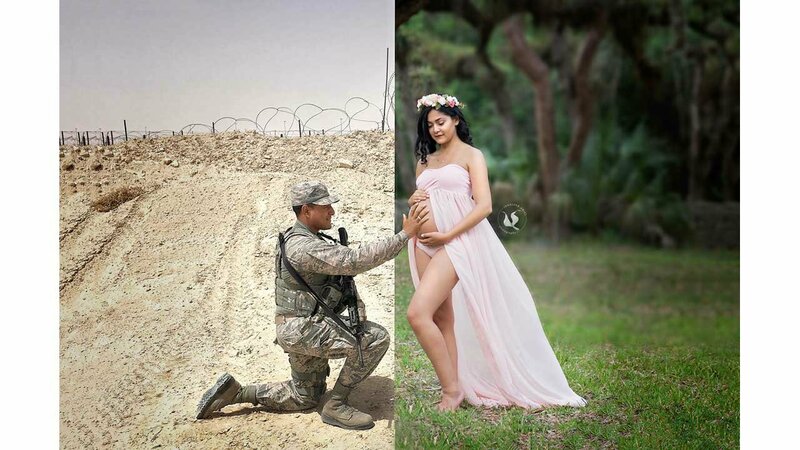 With Brandon missing out on many milestones in her pregnancy, Veronica wanted to find a special way to include him in her maternity photo shoot. She contacted her photographer, Jennifer McMahon of Jennifer Ariel Photography, to Photoshop a picture of them together. Veronica said she teared up when she saw her husband's hand on her belly. McMahon said she was happy to help honor the couple who has made so many sacrifices for the country. "Her husband is thousands of miles away serving our country. He is missing his beautiful wife's pregnancy, and will be missing the birth of his baby. Thank you to our military for sacrificing for our country," McMahon told our sister station WLS.